We came home today from Detroit by way of Canada. 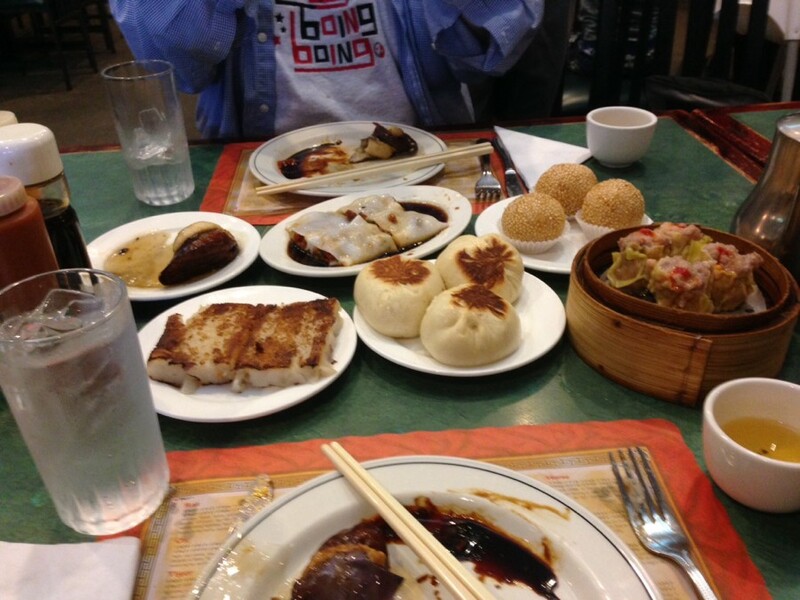 We needed dim sum so went to Windsor for brunch. I made it home to two very pissed off cats. I have been forgiven by Ash but Fi is still being a bit weird. I remember a group of us riding motorcycles from Ann Arbor to Windsor to have cheeseburgers in a Chinese restaurant. The border was less of an aggravation then. The border wasn't too bad. The guy on the Canadian side was somewhat surprised when Camille answered him in French. Getting back into the US took just a couple of minutes. The customs guy was interested in the SciFi convention.